Banging Kelly Rowlandcelebrated at the Moet Rose Lounge with eyelash grazing bangs wearing a Fall 2011 dress from Cushnie et Ochs and Alejandro Ingelmo pumps. Her shiny, sleek hair was the perfect acessory her nearly perfect physique. Kelly is definitely one Blinging Babe. We love her style—edgy without being over the edge, trend-setter, not trendy. 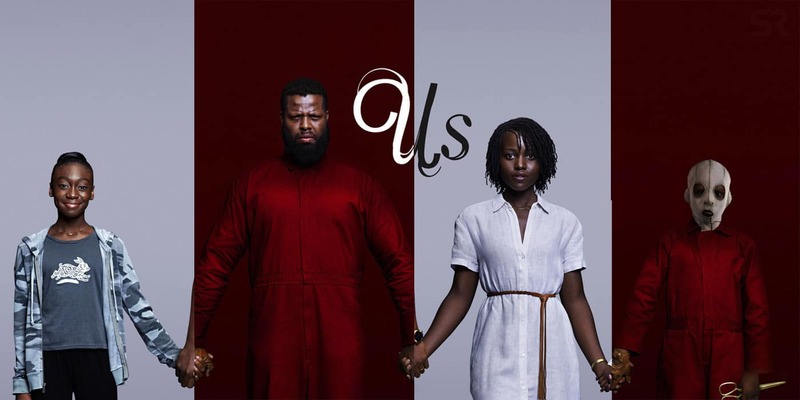 We enjoy her drastic changes as much as the subtle ones—short hair to long, curly hair to straight, hot pink dress to basic black—they all work. 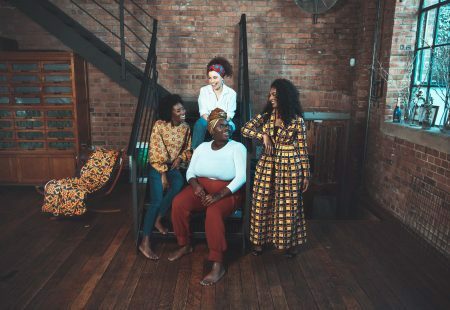 And of course, we love the makeup. The vibrant blue liner under her eyes, paired with pink eyeshadow on the upper lash line was new take on a traditional look. Keeping the lips soft and subtle let her eyes do the talking. 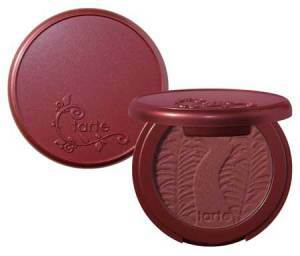 A creamy pressed powder housed in a mirrored compact with a sponge applicator. The glare of studio lights and long hours on set make touch-ups essential to keep skin looking fresh and flawless. This creamy formula infused with micronized pigments and antiaging Vitamins C and E provides lightweight coverage that minimizes imperfections while keeping skin looking natural and smooth. 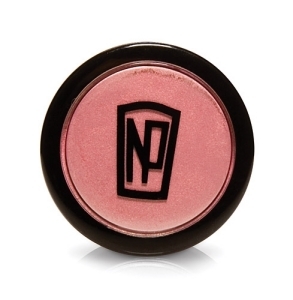 Infused with natural clay harvested from the banks of the Amazon River and naturally baked by the sun, this nutrient-rich blush benefits all skin types for a fade-free flawless finish for an amazing 12 hours. A silky smooth, highly pigmented formula that blends easily. 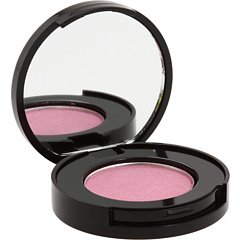 A highly pigmented loose powder in a canister that depenses just the right amount of powder each time. 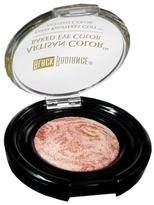 Provides brillant shimmering highlights for the eyes, cheeks and body. Organic eye shadow infused with skin-loving ingredients, finely milled with an extra soft base of corn silk and jojoba oil. Chamomile and vitamins A, C, and E make for a smooth and soft formula excellent for dry and sensitive skin. Inspired by the finely faceted look of crystals, Luxury Liquid Eyeliner is enriched with Vitamin E and enhanced with sparkling gem-toned micro-pigments. Defines the eyes with the dramatic glimmer of fine metals and precious jewels. 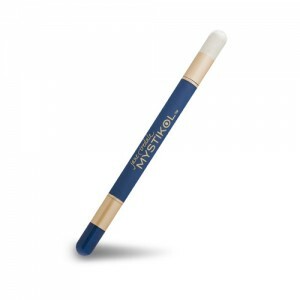 A felt-tipped eye liner pen. This liquid eye liner pen allows for maximum control during application—ensuring a precise, even line with just one stroke. 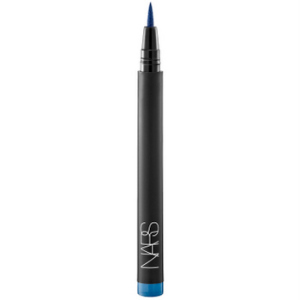 It delivers a high dose of pigment and intense color in a long-wearing, quick-drying formula. A creamy powder formula that won’t fade, crease or smear. 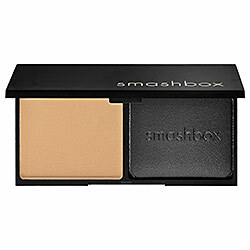 Creates definition around the eye for a soft, smoky eye effect. 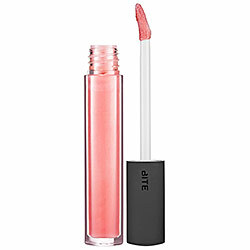 A glossy, translucent lip tint in illuminating colors ranging from blush nudes to vibrant, color-rich reds. This high-tech gloss infused with time-released jojoba beads and antioxidant resveratrol complex imparts soothing hydration and intense shine. Each lip shine contains the amount of resveratrol found in five glasses of red wine.